LoPrete & Lyneis, P.C. was formed to provide our clients with personalized, professional and timely legal services. Jim LoPrete and Mary Lyneis worked together for over 25 years for another private practice firm. Ruth LoPrete joined the firm upon its formation in January, 2008. 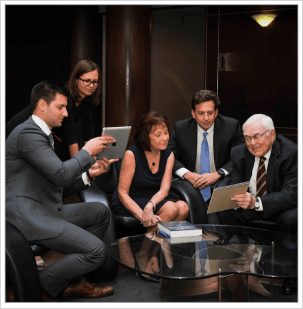 Together our attorneys have over 80 years of legal experience in estate planning and administration, taxation, probate and trust litigation, elder law, guardianships and conservatorships, for profit and non-profit entities. In order to assure our clients receive the most experienced and skillful legal services, we focus our practice primarily on these areas of the law. When you make a decision to contact an attorney, you want a timely resolution of your concern. 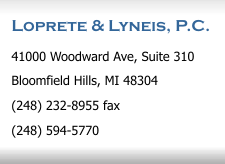 At LoPrete & Lyneis, P.C., we work to resolve our clients’ concerns in an efficient and timely manner. Our attorneys provide personal, individualized attention to every client. We are committed to providing excellent legal representation, as well as compassion and understanding during times when our clients are faced with emotional or financial burdens. We listen to your concerns; and we explain in layman’s terms your options and legal rights.